“We found four warm epochs,” says Prof. Ge, “which were AD 1 to AD 200, AD 550 to AD 760, AD 950 to AD 1300, and the 20th century. Cold periods occurred between AD 210 and AD 350, AD 420 and AD 530, AD 780 and AD 940, and AD 1320 and AD 1900. The temperature amplitude between the warmest and coldest decades was 1.3°C”. 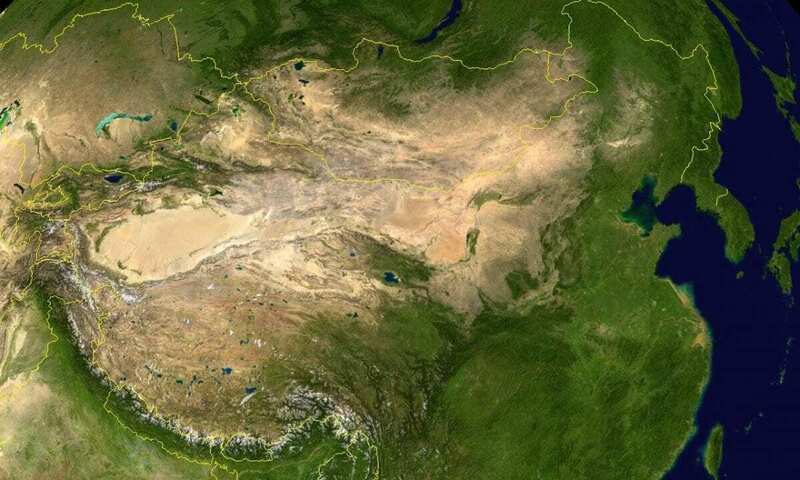 Prof. Ge’s team found that the most rapid warming in China occurred over AD 1870-2000, at a rate of 0.56 ± 0.42°C (100 yr)?1; however, temperatures recorded in the 20th century may not be unprecedented in the last 2000 years, as reconstruction showed records for the period from 981 to 1100, and again from 1201 to 1270, were comparable to those of the present warm period, but with an uncertainty of ±0.28°C to ±0.42°C at the 95% confidence interval. 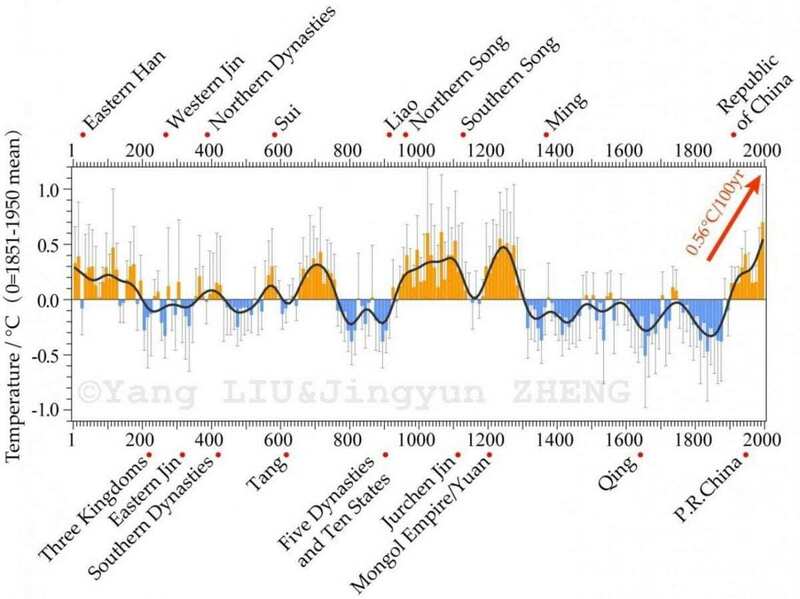 Since 1000 CE–the period covering the Medieval Climate Anomaly, Little Ice Age, and the present warm period–temperature variations over China have typically been in phase with those of the Northern Hemisphere as a whole. Prof. Ge’s team also detected some interactions between temperature variation and precipitation change. The ensemble means of dryness/wetness spatial patterns in eastern China across all centennial warm periods illustrate a tripole pattern: dry south of 25°N; wet from 25°-30°N; and dry to the north of 30°N. For all cold periods, the ensemble mean drought/flood spatial patterns showed an east to west distribution, with flooding east of 115°E and drought dominant west of 115°E, with the exception of flooding between approximately110°E and 105°E.